DIN Standards are invented for a variety of components including industrial fasteners as DIN 558 Fully Threaded Machining Bolts. DIN 558 Fully Threaded Machining Bolts are manufactured from Austenitic Stainless Steel Grade A2, A3 and A5, Brass, Plain Steel, Alloy Steel, Ordinary alloy steel or many other materials. DIN 558 Bolts are available in a wide range of sizes, shapes and materials. DIN 558 Bolts are Hexagon Head Bolts. Complies with ISO 4017, ISO 4014 and GOST 15589-70. Durable, Versatile and Easy to use Hardware. Strength Class 3.6, 4.6 and 5.6. Anti-Corrosion Resistant and Prolongs Service life. Intended as a permanent attachment on equipment such as motors, control cabinets, gear boxes, etc. DIN 558 Bolts are often used with nuts or washers for enhancing clamping force. Serves as a reliable fixture for installation and fastening. Can be used in any type of environment. 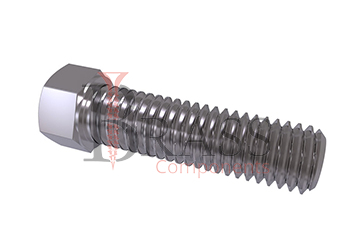 Used for fixing, fastening and connecting parts, components and assemblies together with nuts and washers of appropriate dimensions. Used for fastening in machine building, instrument making, construction, manufacturing and other industries. 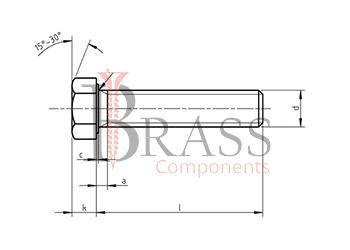 We manufacture DIN 558 Bolts as per Custom Specification and export in France, Italy, Switzerland, Poland, Greece, UK and other European Countries.For more Information, Please Contact Us or Inquiry Now.